In an effort to improve the starting I bought and fitted a new earth strap as the old one was looking pretty past its best. 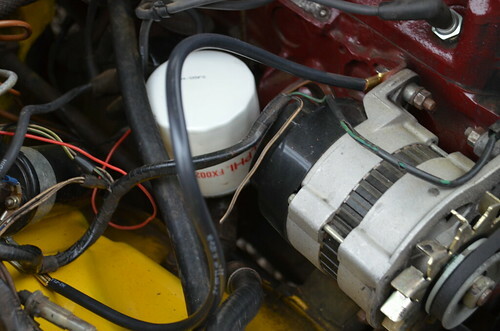 Especially as it looked like the previous one was installed by running the connecting bolt though the strap itself rather than the eyelet. Next one to look at is the starter motor earth.